HOME SWEET HOME! Look no further as this brand new, 2018 custom built home is waiting to say Welcome Home! With over 1,500 square feet of heated space, featuring 3 bedrooms, 2 baths, brand new kitchen with self-closing cabinet doors and included stainless steel appliances as well as granite counter tops throughout make this your truly new and move-in ready experience. High grade laminate flooring throughout all bedrooms and common areas, with ceramic tile flooring in the two beautifully detailed bathrooms, also featuring dual sinks and granite tops. 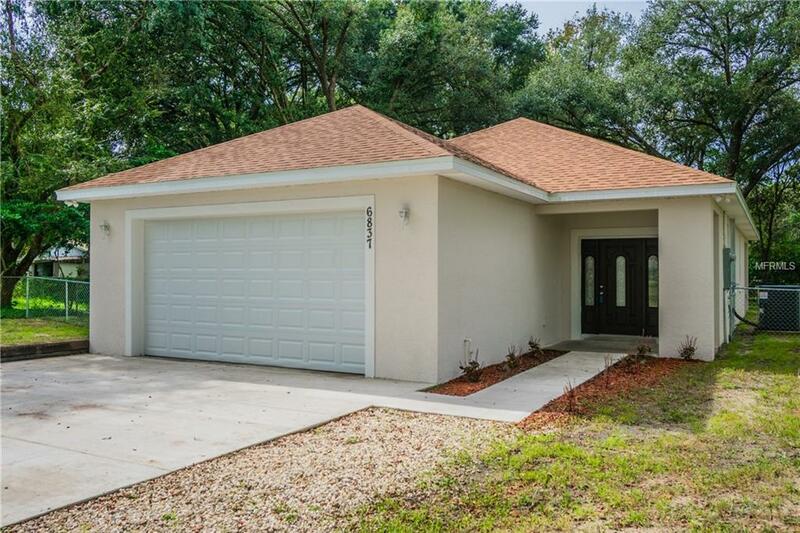 Home has an attached 2-car garage with electronic garage door opener. Lot size is over 1/2 acre with home situated in the center, providing a fully fenced back yard for your favorite pets and added security as well as far enough from the main road, adding the extra peace and quiet that this new home has to offer. Located in a quiet, centralized location with nearby shopping on major store brands and within two miles from hospital while also being located close to two major roadways (US 98 and US 301) connecting to Interstate I4 for Orlando and Tampa destinations respectively. Submit your offer today and don't let this home get away as it will sell fast.